Sick and tired of your VPS hosting provider’s slow page loading speeds, outdated servers, and constant downtime? Maybe it’s time to make a switch to a new provider and, a new location. Underestimating your web host’s server location is a common mistake, but one that can impact your site’s loading speed, user experience (UX), conversion rate, and several additional SEO variables that play a part in search engine ranking. One of the best locations for web hosting company servers – especially if you’re targeting an Asia audience – is Hong Kong, China. The People’s Republic of China forces all Chinese content creators to apply for and receive an Internet Content Provider (ICP) permit from the Chinese Ministry of Industry and Information Technology before a website can become operational. Luckily, no ICP permit is needed for content creators or web hosting companies based in Hong Kong. Hong Kong is its own Special Administrative Region (SAR) where its citizens are protected by the Hong Kong Bill of Rights. This allows complete individual freedom of expression, wherein no websites are blocked or censored. Although the region does not allow the online distribution of licensed goods (replica shops), violent images, or obscene images of minors. Due to a majority of the modern internet being connected by fiber optic cables, it’s no surprise that fiber optics are the fastest form of broadband technology. Hong Kong uses nothing but fiber optic connections. 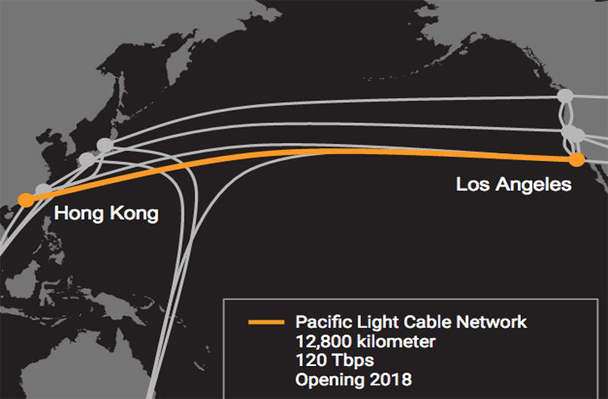 This superior internet infrastructure has led Akamai, a global Content Delivery Network (CDN), to rank Hong Kong as having the 5th fastest average internet connection in the world during 2015’s Q3 ranking, at 15.8 Mbps. This is significantly higher than the world’s average connection speed of 5.1 Mbps, and is just behind South Korea, who has the world’s fastest connection with an average of 20.5 Mbps. Hong Kong is a very strategic physical location for any company wanting to do business in Asia, specifically, with China. Hong Kong is at the heart of the Asia-Pacific, and is within one hour of Bangkok, Seoul, and Tokyo. Thanks to the manufacturing success of the Pearl River Delta (PRD) – made up of Shenzhen, Dongguan, and Guangzhou – the Hong Kong area is one of the wealthiest in China. Its liberal economic system of free trade policy, no trade barriers, and zero offshore investment limits have attracted the attention of investors and conglomerates worldwide. This, in turn, has helped contribute to Hong Kong’s advanced telecommunications infrastructure, making it an ideal location for traditional businesses and web hosting companies catering to a Asia-Pacific audience. Ready to make the jump to a Hong Kong VPS provider? Look no further, we’ve compiled a list of the top Hong Kong VPS web hosting companies in the region. InternetSolutions.hk was founded in 2009 and is quickly becoming a leading hosting provider in the Hong Kong area. They offer hosting, domain, SEO, and web design services to clients in mainland China, Hong Kong, Macau, and Taiwan. All VPS packages run on the cloud. InternetSolutions.hk’s VPS plans can run on several operating systems, including CentOS, Ubuntu, Windows 2010, and Windows 2008. Their prices are decent, and server specs can be customized, making them an excellent hosting candidate for high-traffic websites and E-commerce stores. LimyVPS specializes in providing cheap virtual private servers across five continents. Each VPS plan comes with full root access, Xen Hypervisor, and is applicable with over fifteen different operating systems. LimyVPS also offers a free 7-day trial for a $1 setup fee. LimyVPS has four different Hong Kong VPS plans, but their lowest-priced package appears to have the most value for smaller websites. Their bandwidth does have limits, but the memory and storage space makes up for it. LimyVPS is a solid VPS provider for clients of all locations. XenyoHosting is a local, Hong Kong-based hosting provider with access to the latest hardware and software technology, all within their own data center. The company offers shared and VPS hosting plans along with a trained bilingual support team. Their VPS plans are powered by OpenVZ virtualizartion technology and support only Linux operating systems. Since XenyoHosting uses the latest server technology and supports data speeds of up to 1.8 Gbps, the company is a terrific hosting solution for web designers and developers. Each plan’s large amount of SSD storage space and massive bandwidth limits would make XenyoHosting a great VPS alternative for all websites, no matter the size. Hosting In China was founded in 2000, serves over 5,000 global customers, and houses over 20,000 domain names. This web host has access to over 1,500 servers housed within two Tier-3 data centers, based in China and the United States. Hosting In China is also one of the few providers on this list with a Chinese ICP permit, license number 350203200305527. Each plan is available with Windows or Linux OS, and set up is free. While Hosting In China’s prices are great, their hardware could be upgraded with SSD storage, but overall, this is an excellent Hong Kong VPS provider for those with smaller budgets. ADCData is a full-fledged web hosting provider specializing in tailor-made solutions for small to medium-sized businesses in the Asia-Pacific region. They rely on a Tier-3+ fully redundant data center which uses the latest hardware from qualified suppliers like Intel, Fell, and IBM. Their main data center is connected to HKIX, the main data hub within Hong Kong, and has additional fiber optics running through centers in the US, Europe, Australia, Japan, and Singapore. ADCData earns points for transparency and server customization. VPS plans can be customized to carry up to 16 CPU cores, 128 GB RAM, and 500 GB of storage. Additional hardware and software upgrades are also available. Each VPS package comes with 1 Gbps shared fiber bandwidth, external backup nodes, and a free SSL certificate. VPSHosting.com.hk specializes in offering a select few hosting solutions, including VPS, cloud hosting, and dedicated servers. Each VPS plan runs on Virtuozzo technology, and can be equipped with a Linux or Windows operating system. Upgrade to a Plesk control panel for an additional $4 a month. The plans above are Linux VPS plans, the Windows OS VPS plans come at a significantly higher cost. Each VPS comes with unlimited domains, email usage, and full root access. This is a highly recommended Hong Kong VPS solution. 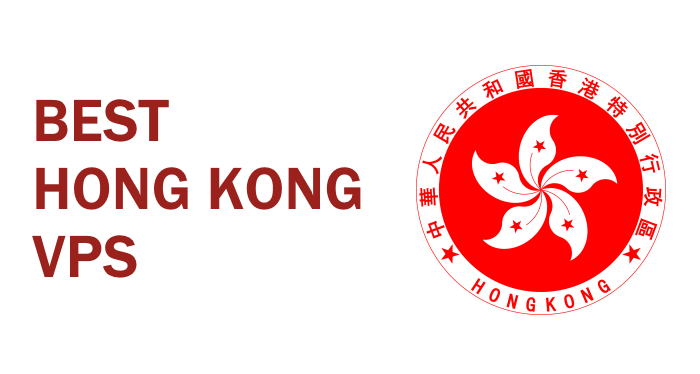 HostHongKong was established in 2003 and is a privately owned company servicing thousands of clients across 4 continents in over 100 industries. Their servers operate inside Tele Asia’s world class data center in Fanling, Hong Kong, where they personally manage over 100 shared and dedicated servers. The VPS plans mentioned above rely on KVM virtualization technology. Apart from this, HostHongKong also offers cloud-based VPS plans at a slightly higher price. Each of their VPS’s are applicable with most operating systems, come with residual backups, and are guaranteed with low latency connections. Kamatera was founded in 1999 and is part of an international network of IT-based service providers. Kamatera operates within 7 data centers worldwide and was an early adopter of the Infrastructure as a Service (IaaS) industry. Kamatera offers some of the best VPS prices, especially when considering their state of the art hardware and available hard drive storage options. Their Hong Kong VPS packages can be customized with up to 20 CPU cores, 262,000 MB RAM, and 1,000 GB SSD disk space. Unfortunately, the most bandwidth they allow for any single plan is just 200 GB per month. But overall, this is definitely a VPS Hong Kong provider you need to check out. GigsGigsCloud is a subsidiary of TechAvenue International Ltd., and is the sister company of GigsGigs.com. In 2012, GigsGigsCloud received an award for being the “Top Asia-Pacific Brand”. They access four different data centers. Their Hong Kong Tier-3 data center is the 110,000 square foot HGC Global Center, where GigsGigsCloud sets up and maintains their own network. VPS plans come in both OpenVZ and KVM virtualization technology for both cloud-based and standard hosting. Anyone wanting to test out a smaller project or website can get started with as little as $2 – the lowest-priced VPS solution on this list. Great for startups! HostUs was recently launched in 2012 and caters to clients in North America, Europe, and the Asia-Pacific region. Each of HostUS’s VPS plans comes with free DDoS protection, their own proprietary Breeze control panel, and in-house staff and support. HostUS.us is a great example of a Hong Kong VPS host caring about infrastructure, service, and prices. Their support team is top-notch, prices are highly competitive, reviews are all positive, and customization options are plentiful. We highly recommend checking out HostUs.us’s VPS packages – no matter your company’s size or budget.